Hey! Ho! Let’s Go! Coming in 2016, the classic rock group THE RAMONES and everyone’s favorite red-head will be crossing over in an extra-sized adventure! 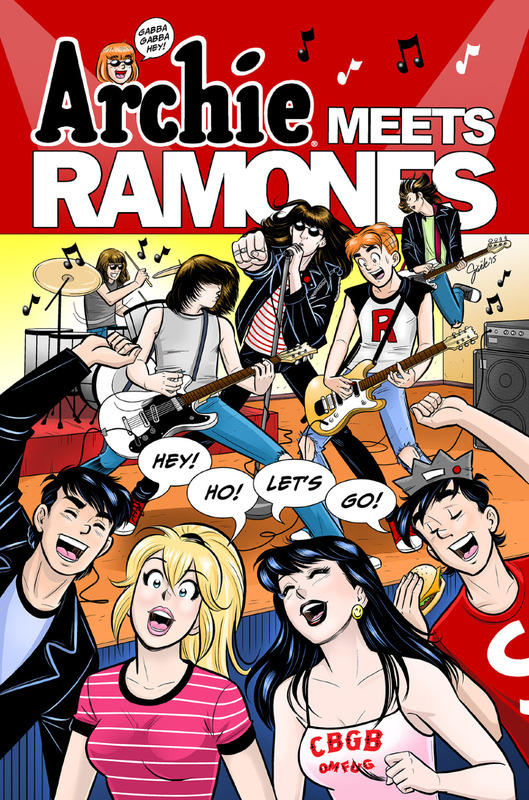 Coinciding with the 75th anniversary of Archie Comics and The Ramones’ 40th anniversary, the new comic follows in the tradition of Archie Comics crossovers like ARCHIE MEETS KISS and ARCHIE MEETS PREDATOR.